The Individual Equipment Belt Suspenders are designed for use with the individual equipment belt on which are suspended items of field equipment such as water canteen, ammunition cases, and other items required by the soldier in the field. 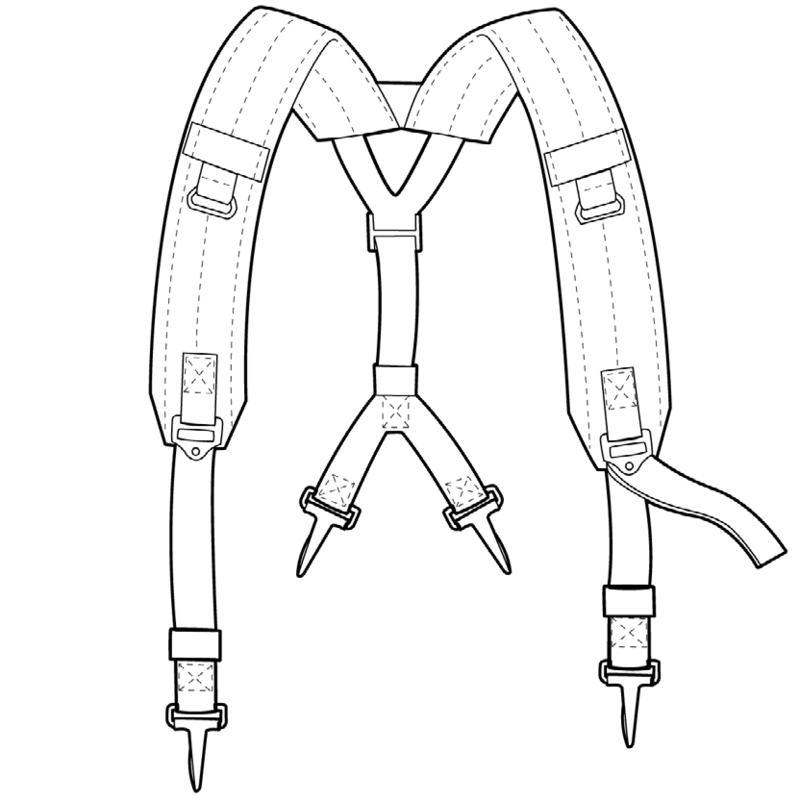 The suspenders are Y-shaped with three adjusting straps, with four points of attachment to the belt and ammunition cases. The shoulder straps are padded with spacer cloth. Each shoulder strap has a web loop and a non-slip buckle on each of the straps, in the front and one at the back, through which the adjusting straps pass. There are rectangular wire loops located between the web loops and the buckles on the front of the straps. The 1-inch wide adjusting straps have side-retaining snap hooks at one end. The back adjusting strap has an inverted "V," of which each end has a side-retaining snap hook. Each of the adjusting straps has a loop around it made of 1-inch elastic material.